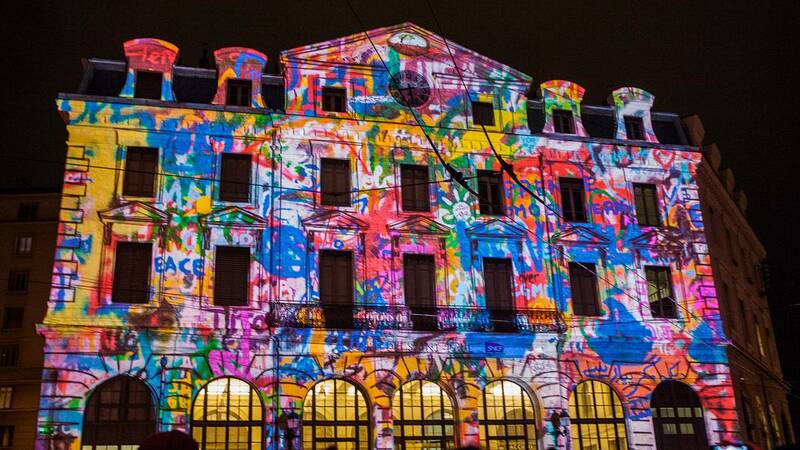 Lyon’s Festival of Light or Fetes des Lumieres attracts between three and four million visitors each year. The event, now boasts dozens of installations and a host of the city’s most iconic buildings shimmer across the night sky. “From its humble beginnings in the 1600s as a provincial religious tradition, the Fete des Lumieres has transformed into a sprawling urban event at the cutting edge of design, innovation and artistic endeavour,” says Euronews’ James O’Hagen. In the Gallo-roman amphitheatre overlooking Lyon, artist Damien Fontaine has created a truly spectacular installation steeped in fantasy, inspired by a Hindu legend about a magic horse. For the first time ever, live horses have been dressed in a new type of fibre optic material. Dutch company Mr Beam’s installation ‘Insert Coin’ transforms the public space with an immersive story populated by classic cult characters. “Actually it’s a homage to computer games, we all grew up playing computer games, playing Pacman and growing up with all those games, says Mehdi Assem, one of the installation’s co-creators. Paraglider and artist Christophe Martine is fascinated by flying objects brought to life with light. Les Pikooks depicts two large snow owls guarding precious eggs which float in the fountain beneath. “What we wanted was to create a fantasy world with two structures which resemble owls but we might also see them as fish, says Martine. “We tried to leave space for the imagination so that people can see what they wish. With a nest, and in fact these birds are going to brood on the nest and we will see a game with the lights that gives the appearance of a hatching, this hatching of light will bring the structures to life. “The idea is to offer magic and poetry,” Martine adds.